Hardwearing STAR polyamide winter parka. Windproof and water repellent. Quilt lining for flexibility and comfort. ID card pouch on chest. 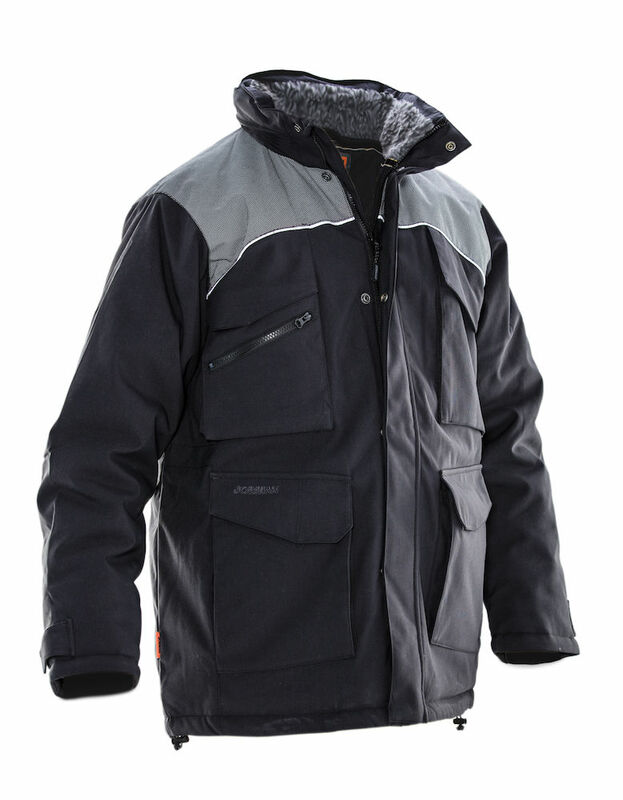 Quilt-lined lightweight parka made from durable, water repellent 100% STAR polyamide. Concealed quilt-lined hood. Inside of collar is lined with soft fleece-fur lining. Patch chest pockets with ID card pouch. Inside pockets with zipper and phone pocket. Napoleon pocket on chest. Large front pockets. Rear glove pocket. Adjustable waist, hem and cuffs with comfort cuff. Reinforcements in Cordura®. Reflective piping on yoke.